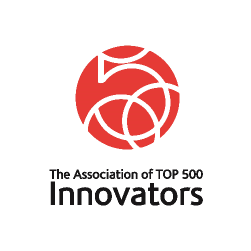 The Association of TOP 500 Innovators is an initiative of the alumni of the TOP 500 Innovators: Science - Management – Commercialization Program of the Polish Ministry of Science and Higher Education. The Association has been set up in order to create an interdisciplinary platform of cooperation between representatives of science and technology transfer in Poland. This cooperation draws on the experience of its members obtained during a 9-week period at one of the two world’s leading research centers: Stanford University and the University of California, Berkeley. The activities of the Association include promoting innovation, academic entrepreneurship, as well as commercialization of research results. The Association also actively cooperates with government institutions and public benefit organizations in developing the best environment for the cooperation between science and business. The Association has over 220 members, both scientists as well as technology transfer and commercialization specialists from research institutes and technology transfer offices from all over Poland. You can read about our Association in the Lodz Creates Innovation magazine (pp. 9–11).